Copyright 2009 EATischler - New Horizons Golf Approach. All rights reserved. click on the PayPal button below. within 48 hours of purchase. 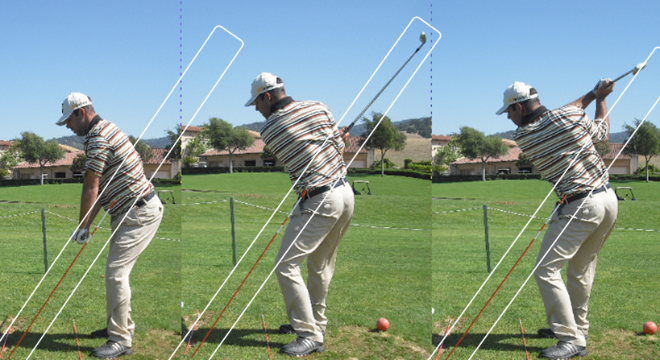 black line to show that the arcs of the clubhead paths are relatively the same. 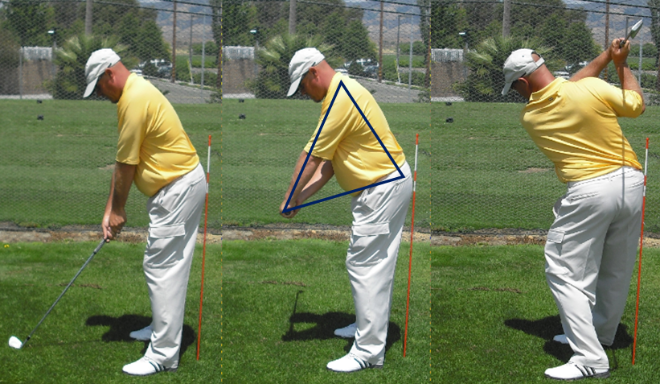 this pattern the delivery process begins as the golfer begins to stand-up. 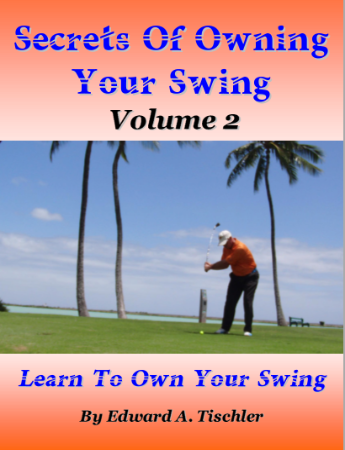 normalize the stress the golf action puts on the body during the stroke. completing the levering action in the backstroke. 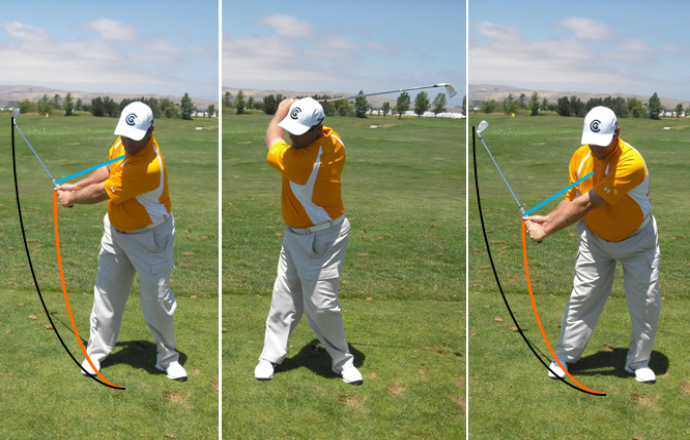 Shoulder-Plane Slotting action is initiated all E.A. 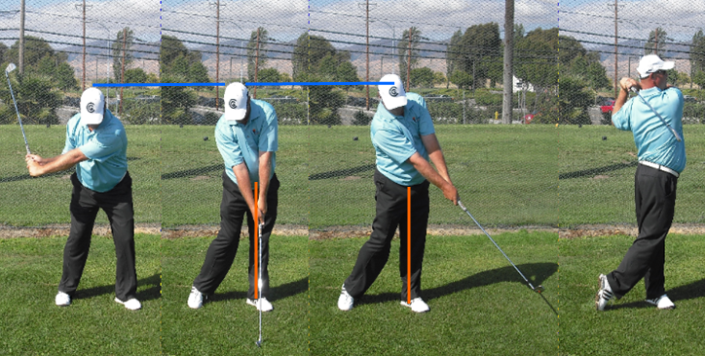 Shoulder-Plane Slot all the way through impact. 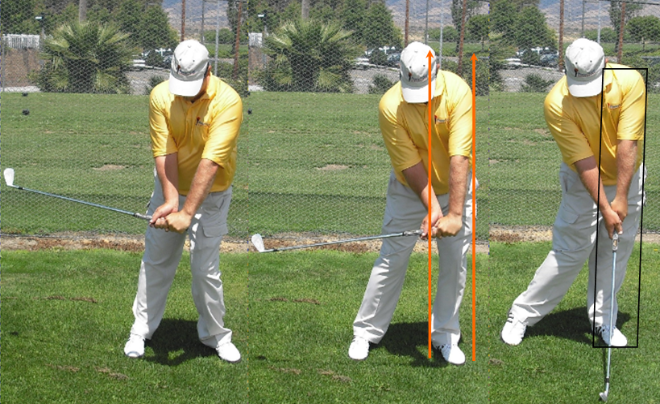 clubshaft in the Hip-Plane Slot. as marrying the right arm to the right side of the body. much less common in the case of Rear Linkage golfers. clubshaft are aligned exactly on the Rear Linkage mark. together. 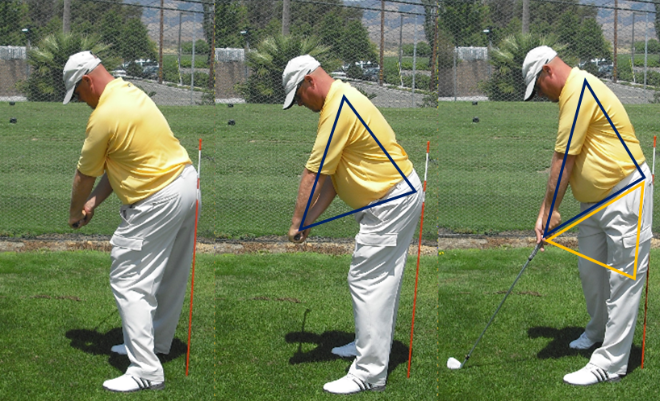 Linking all the components together allows all the stroke's energy to multiply, gather, and be delivered together. 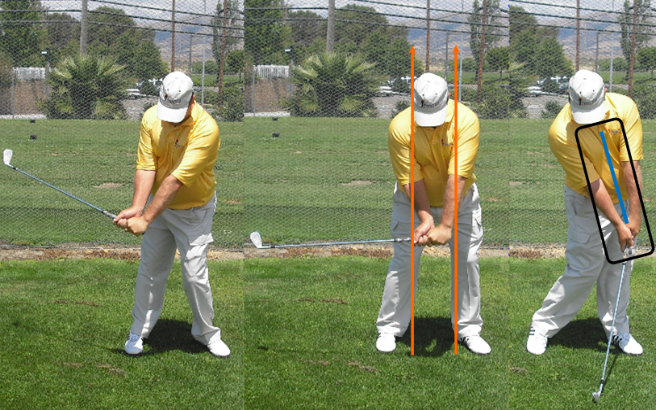 the downswing. As far as Rear Impact Linkage is concerned, every component of the right side moves through the delivery interval in a synchronized manner. 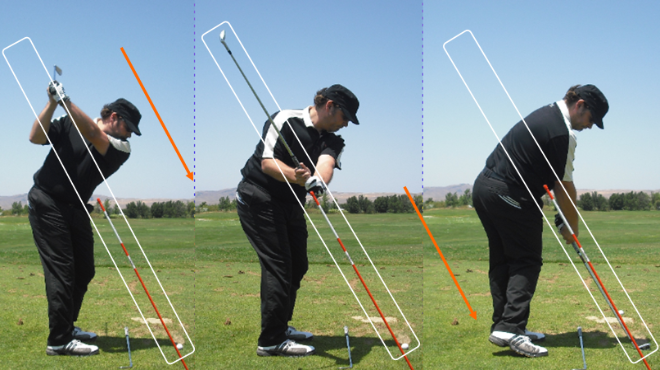 Under golfers will use a tucked in-front elbow position for connection (or what we call Front Delivery Linkage). 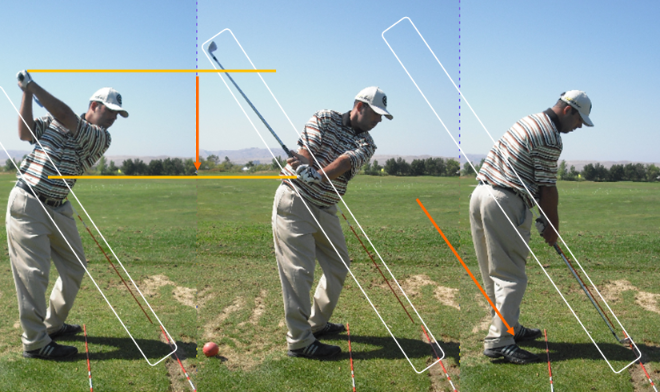 clearing feature ensures all the forces of your stroke will be working together in a synchronized manner. 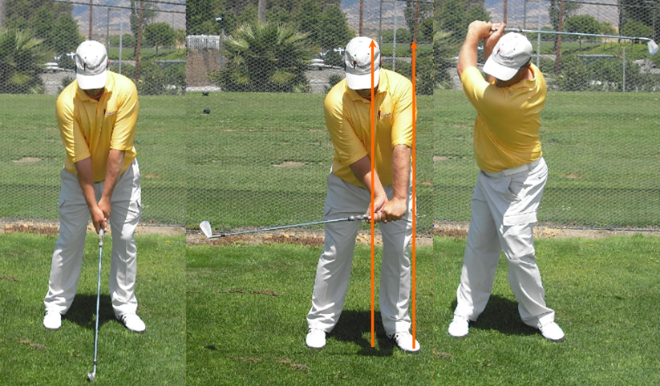 To help visualize and understand how linkage works we are going to study it in terms of using a pre-set wrist drill. to make sure you assemble your delivery point on the linkage line. you simply move to the top of your backstroke. 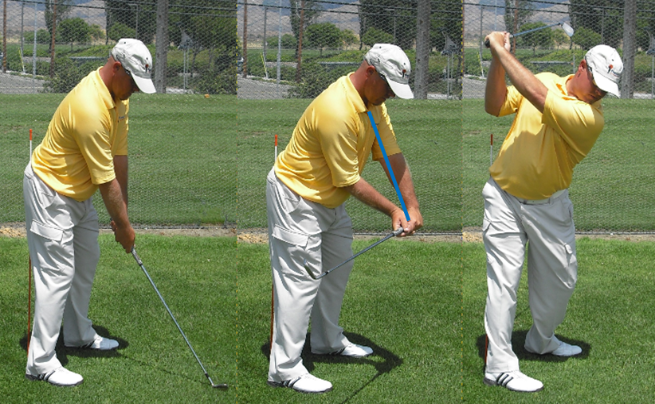 middle picture we can see the pre-set wrist position. the top of the backstroke. are all aligned on the mark. also want to make sure you assemble your delivery point on the linkage line. the hands exactly on the center line of the body. 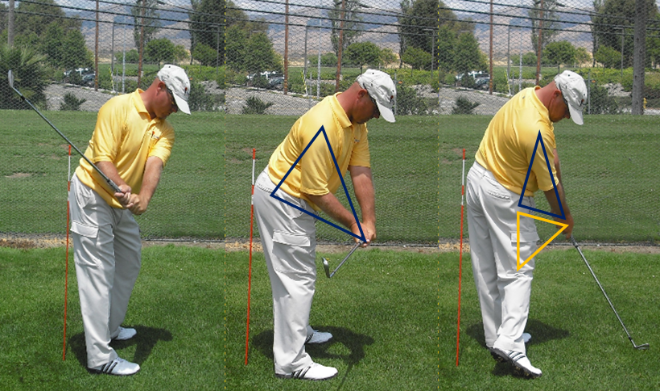 remain aligned on the center line of the body. also want to make sure you assemble your delivery point on the linkage line..
simply move to the top of your backstroke. 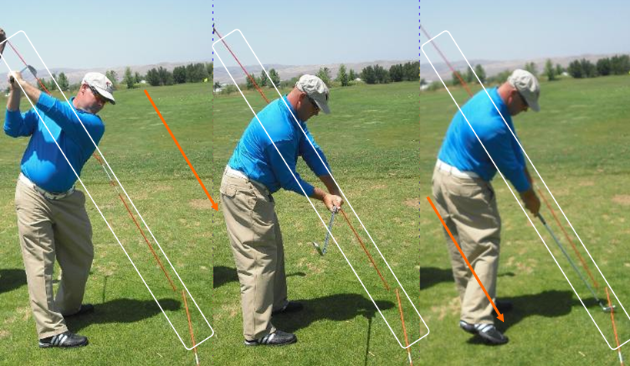 description, showing he was a rear linkage golfer. 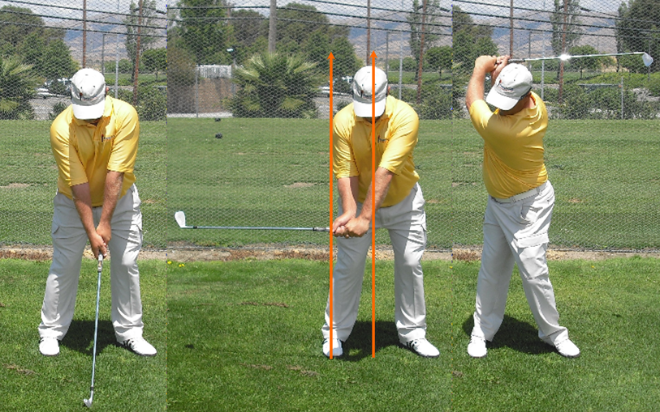 To understand the concept of slotting better we will observe three different golfers performing three different training exercises. Shoulder-Plane Zone. 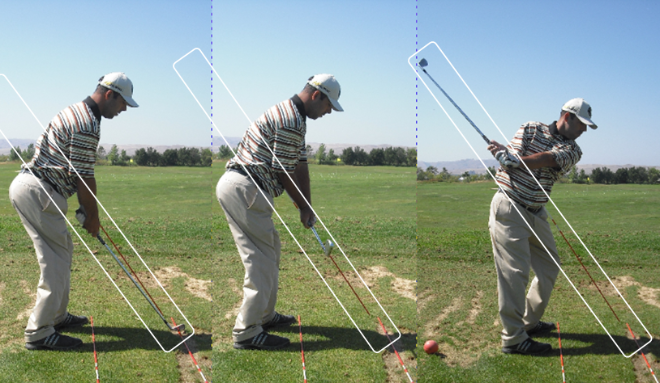 This is the plane that is aligned from the ball line up through the center of the golfer's shoulder girdle. 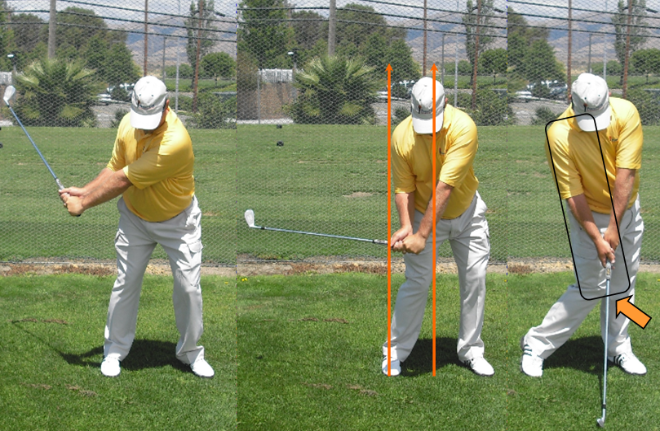 of the zone and up through the top of the shoulder girdle along the top part of the zone. 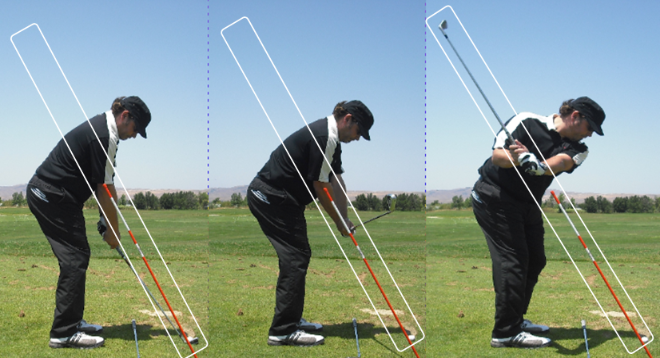 stroke remains on the Hip-Plane Slot. maintains Torso Plane integrity through impact. 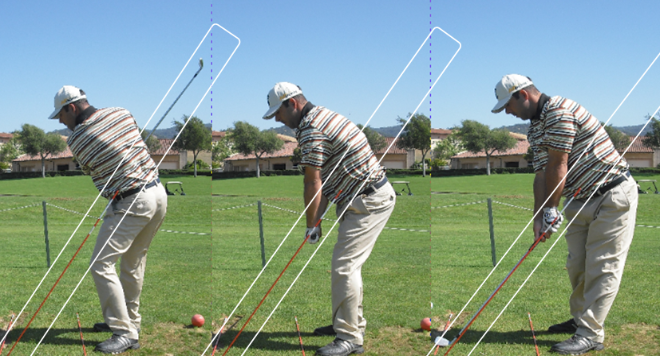 tilted to simulate the Hip-Plane Slot Zone. from the ball line slightly so that it is aligned with the golf shaft which is a few inches inside the ball line at address. on the Torso Plane. Moe Norman is a golfer that has done so. 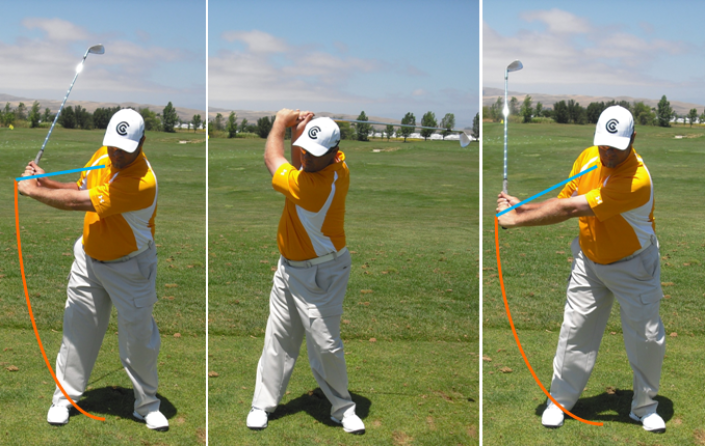 the pattern with a more traditional single shift into the Shoulder-Plane Slot from a more traditional address position. 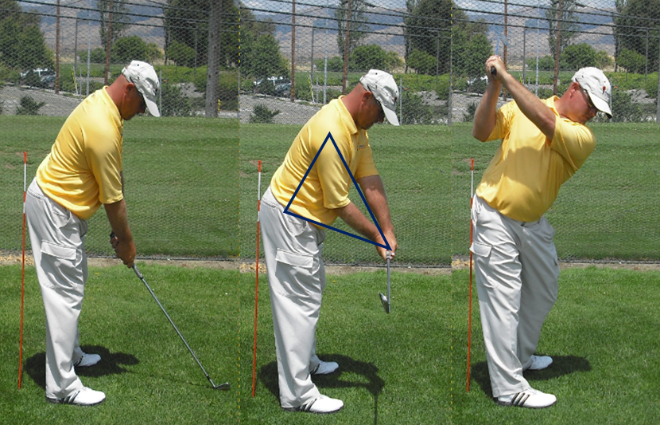 positioning it into the Shoulder-Plane Slot. that it needs little discussion. 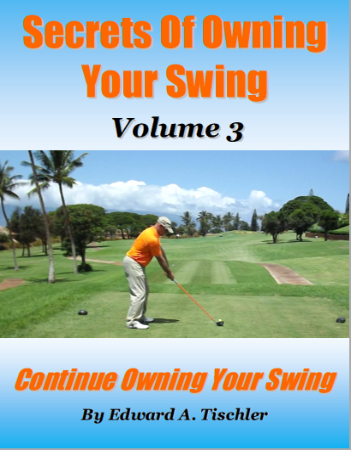 The point to remember is that it is only suited to one-third of the golfing population. One-third of you are built to own the Stand-Up option and one-third of you are built to own the Post-Up option. helps them make enough room for the Covering Lever Delivery action they perform. posture with the stand-up option he gained both power and accuracy. 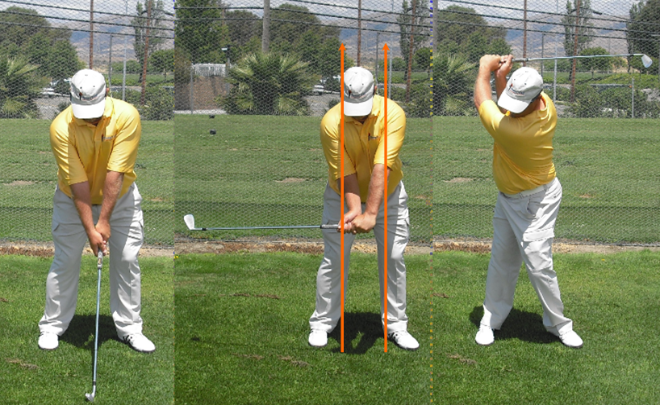 releases fully to a vertical finish alignment (picture 4). extension to the finish the posture releases freely into its' vertical alignment. 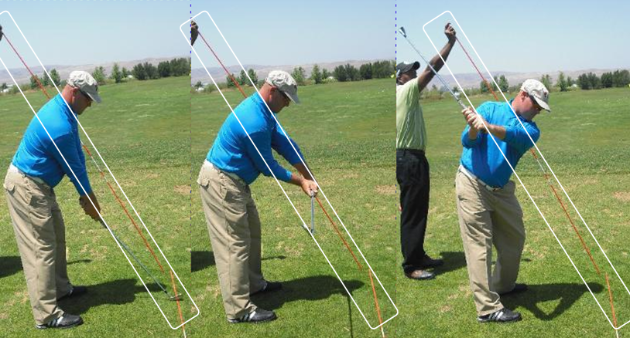 once again release the postural angles to a tall finish alignment. work. 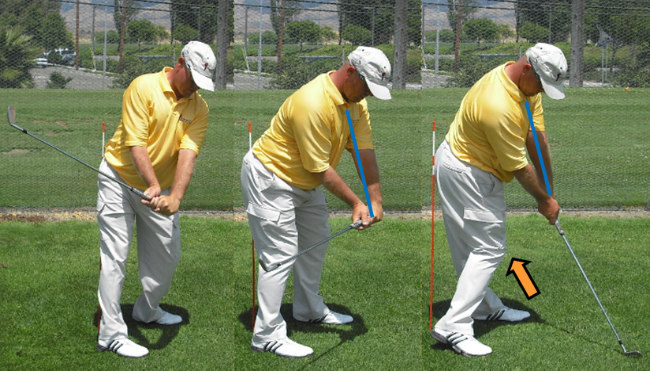 Thus, when fitting shafts to a golfer's stroke we look for shafts that fit their arc management patterns. than it is in the backstroke (far left picture). 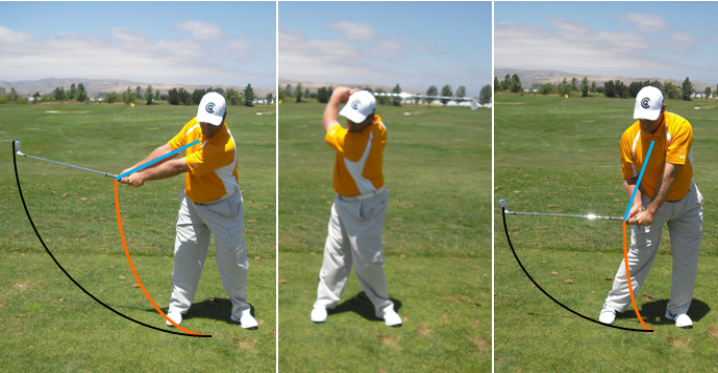 Arc Management – Addresses the 3 options of rhythmically blending the arm swing action with body action. biomechanics related to the fundamentals of power are listed below. 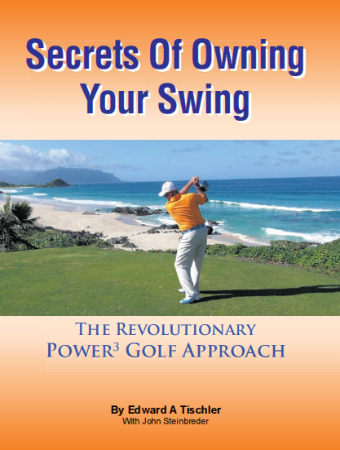 study the Secrets of Owning Your Swing book series. room necessary for the Cornering Lever Delivery action they perform. ball while using the Extendinging Lever Delivery action.